Kelly Miles is quickly becoming a household name in the real estate world. Kelly is a native Californian, born and raised in sunny San Diego. Before embarking on her career in real estate, Kelly was a marketing professional and an entrepreneur in Los Angeles. 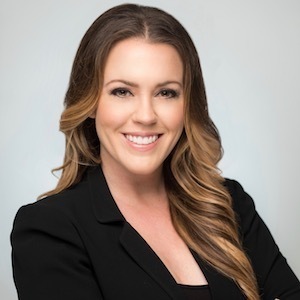 In her first year as a Real Estate Agent Kelly was awarded the title of “Rookie of the Year” for outselling all other first year agents in San Diego County in both number of sales and volume. She is best known for her integrity, diligence and dedication to client satisfaction. Kelly is a graduate of the University of California, San Diego (UCSD), where she studied Communication and Theatre. She launched her career marketing luxury restaurants, hotels and nightclubs across the United States as a Marketing Supervisor for sbe Entertainment, the Los Angeles based hospitality, entertainment and real estate development company. After advancing her marketing career, Kelly went on to pursue entrepreneurial endeavors in the apparel industry, co-owning and operating a private label clothing company, located in Los Angeles. Kelly manufactured garments for corporate accounts and clothing lines to be sold in leading department stores and premier boutiques worldwide. Kelly draws knowledge from her vast business experiences to optimize her success in real estate. Kelly is a driven individual who is extremely detail oriented, leaving no stone unturned in the pursuit of finding her clients their dream home, or satisfying a seller's needs. Kelly understands that purchasing a home translates to achieving a desired lifestyle; she appreciates the importance to her clients of finding their perfect property, indicative of the life they aspire to for themselves and their families. When she isn't selling real estate, Kelly is an avid gym-goer, world traveler and foodie. Kelly represents clients with residential and commercial sales, purchases and leases throughout Southern California. Let Kelly find your dream home, or sell your property today!